Specialised Air Motors & Transmission (TONSON AUSTRALIA) introduces a new line of taper bushes to their extensive range of power transmission products and bearings. TONSON’s taper bushes, combined with other SAMT taper bored products make the power transmission installation and removal process more cost effective and efficient. Available in over 500 metric and imperial bore sizes, these taper bushes are manufactured from fine grain GG22 - 25 Cast Iron (thin walled 1008-2012 from C45 steel, 3535 – 5050 from GGG40 casting), eliminating the need for costly re-boring. 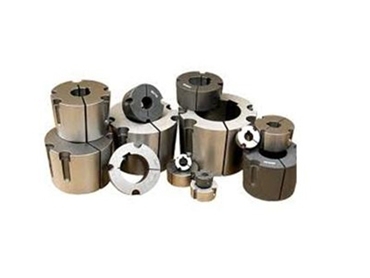 The taper bushes are designed to facilitate rapid assembly and dismantling of the pulley and other transmission equipment with no special tools required except the hexagonal key. The large range of finished bores available ensures that an immediate assembly can be made, avoiding costly factory downtime. TONSON’s taper bushes are machined with keyways in accordance with British Standard specifications. This is in addition to clamping screws which, in many cases, are sufficient to meet the required torque. Fastening by taper bushes allows the removal of any clearance between hub and bore, eliminating fretting corrosion.